A toolkit designed specifically to help small and medium sized manufacturing firms tackle business challenges will be available free of charge to firms who take part in an innovative AMRC project looking at how productivity in SMEs is linked to effective leadership and talent management. 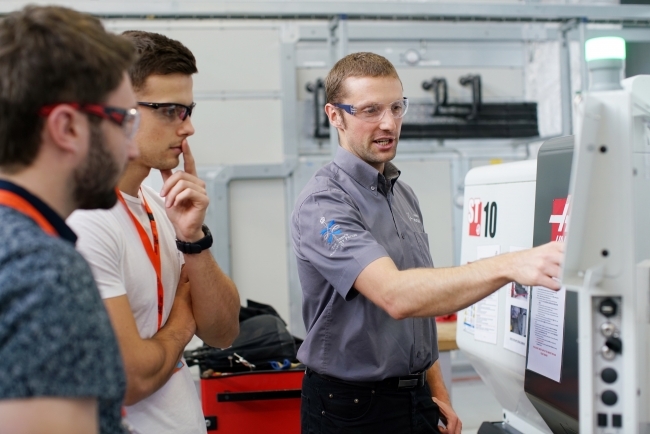 The University of Sheffield’s Advanced Manufacturing Research Centre (AMRC) and the Sheffield University Management School (SUMS) are looking for companies to engage with them in a project designed to break down the barriers to innovation faced by smaller businesses. Sectors like manufacturing are reliant on talented employees and the AMRC and SUMS believe good practices in recruitment, development and the management of people can help retain talent and therefore improve business performance. The AMRC is on the lookout for manufacturing SMEs to take part in the project that will see a useful toolkit developed for SMEs on the adoption of good leadership and talent management practices to boost productivity and grow business. Company engagement manager at the AMRC, Shirley Harrison, said: “We know small businesses are heavily reliant on a few highly skilled people and are always at risk of losing those people to larger companies. We are acutely aware this is a particular issue in the Sheffield City Region as there are so many big name employers – so how SMEs recruit, develop and retain staff is more important now than ever. Advice to SMEs for improving leadership and talent management usually recommends adopting models from large businesses, which are organised in very different ways to smaller businesses. ‘Big business’ approaches often overlook the demands and characteristics of SME workplaces – such as the demands on time, the need for flexibility, flat organisational structures and less formality in systems and processes. Dr Robert Wapshott, Senior Lecturer in Entrepreneurship at Sheffield University Management School, said: “There is a tendency to adopt a model by which SMEs’ practices are assessed against those from a model large firm and any differences are considered as shortcomings in the SME rather than being right for a different type of business. “That’s why we want to understand these businesses on their own terms and that’s the ethos we want to bring to this project. It’s about working with SMEs rather than on SMEs. The project will culminate in a workshop at the AMRC where the findings will be shared with participating businesses, along with a practical toolkit developed from the study that will help businesses address management challenges, illustrated with relevant examples, specifically for local small manufacturers.